MAKING Lesotho an attractive investment destination requires strong political will and the concerted efforts of all stakeholders in the country. But those two should be backed by enough resources to push through the reforms urgently needed to make Lesotho an investment destination of choice. That is the message that came out of a review of the Investor Roadmap last week. Marina Bizabani, Manager Foreign Investments at the Lesotho National Development Corporation (LNDC), told participants at the review that political will, support from stakeholders and resources are crucial in the implementation of the reforms suggested in the roadmap. The roadmap suggests reforms and time-frames for their implementation to create an investor friendly environment. Some of the policies that put off investors have to do with land tenure, security of investment, regulatory requirements for businesses and labour rules. Bizabani said there has been some progress in the implementation of some of the reforms as some stakeholders have taken it upon themselves to nudge decision-makers into action. “We are already seeing some giving their support,” Bizabani said. She added that the review affords them a chance to hear and see what their counterparts are doing “so that we know where to improve to complement each other as our agencies and ministries are integrated”. Bizabane said it is also important to share information “to best utilise the limited resources for maximum results and ensure that no one is left behind”. She said although there is still a long way to go, this year there seems to be a lot of progress compared to the previous year when the review revealed that there was very little happening on the ground. “We are going somewhere,” Bizabane said. Speaking at the opening of the review workshop, the LNDC CEO Kelebone Leisanyane said there were 50 recommendations on improving investment climate and Lesotho’s rankings in the world in terms of the ease of doing business and operations. Leisanyane said the recommendations were made with the help of the United States AID (USAID) Trade Hub. He added that the successful implementation of the recommendations will unlock growth and development in other aspects of Lesotho’s investment landscape. “My wish is that in the past year we have addressed the challenges that were highlighted following the audit and will take motivation from them to fast-track our reforms going forward,” Leisanyane said. “The review is more crucial also considering that this year it is the last year of the current NSDP (National Strategic Development Plan) which prioritised investment climate reforms to enable participation of the private sector in creating jobs and spurring economic growth,” he said. The Principal Secretary in the Ministry of Trade, Majakathata Mokoena-Thakhisi, said reforms are good initiatives but they are also challenging to implement. Mokoena-Thakhisi further indicated that the reforms were of high priority as they would have enabled the government to create the 50 000 jobs stipulated in the NSDP. “The NSDP prioritised the investment climate reforms agenda as a prerequisite programme which required speedy implementation for achieving the creation of 50 000 private sector driven jobs during 2012/2013- 2016/2017,” Mokoena-Thakhisi said. Mokoena-Thakhisi said progress in implementing the reforms has been sluggish. “It is important to note that progress in implementation of the investor roadmap climate reforms has been slow, both on the basis of NSDP and the Lesotho Investor Roadmap benchmarks,” he said. He urged the concerned stakeholders to integrate the reforms in their budgets so that they can have funds to put them into motion. 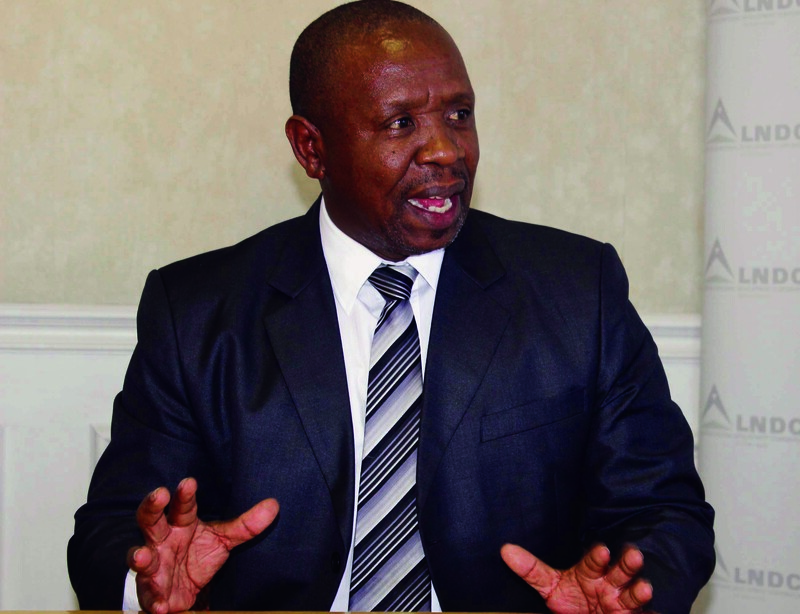 “Integrate the reform areas activities in your budgets so as to allocate the requisite resources for speedy implementation and this should be seen as a long-term government agenda,” Mokoena-Thakhisi said. “Our country needs to aim high in setting targets for performance in international benchmarks with increased innovations of best practices to ease doing business for SMMEs and foreign investors,” he said. Mokoena-Thakhisi added that fast-tracking reforms will also play a key role in decreasing the escalating unemployment rates among youths and enable the private sector to create jobs and high quality products.